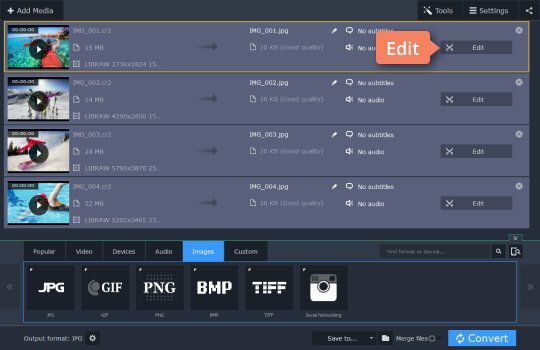 Looking for a CR2-to-JPG converter? If you are the lucky owner of a professional-grade camera, you are sure to face the problem of opening and working with RAW files. Depending on the camera manufacturer, these files may use different names and extensions, one of the most popular being CR2, a special format for Canon cameras. CR2 images retain all the information recorded by the camera’s sensor, which makes for large files that are not easy to work with. 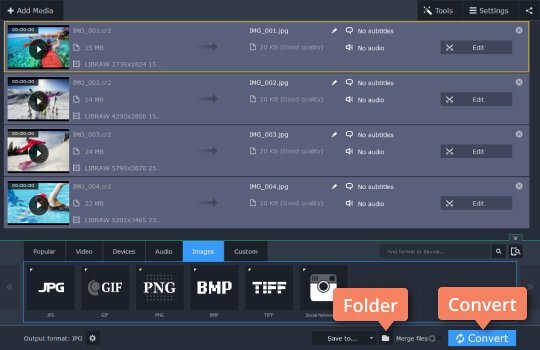 Additionally, the majority of image-viewing and editing programs don’t support these files. So, if you want to view, store and edit your CR2 pictures properly, you will probably need to convert them to a more flexible format, like JPG (JPEG). 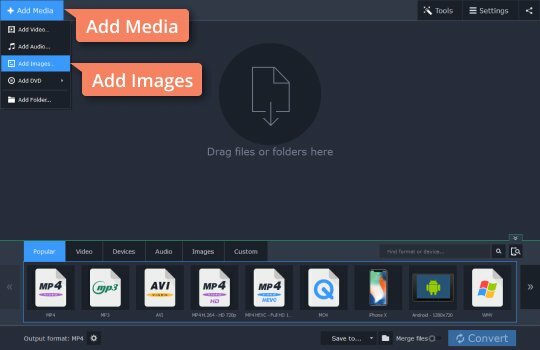 The easiest way to do this is to use Movavi Video Converter. 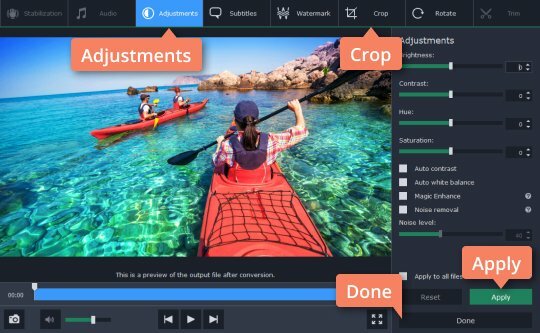 This powerful software can quickly and accurately convert all of your photos from CR2 to JPEG without losing quality from the original pictures. The fast batch conversion process is ideal for bulk photo transfers. Download the Movavi converter for Windows or Mac now and follow this easy step-by-step tutorial on how to convert CR2 to JPG. 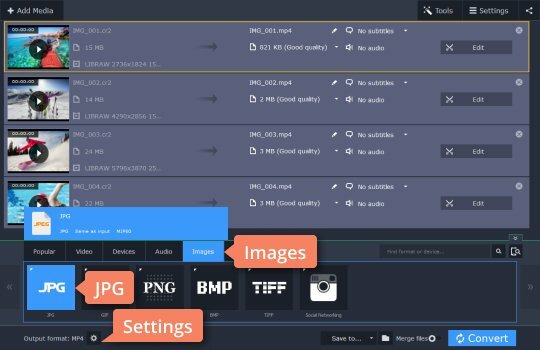 Download the CR2-to-JPG converter from our website. Open the downloaded file and follow the instructions. Click the Add Media button, then Add Images and choose the CR2 photos you want to convert. You can easily add multiple pictures at the same time. 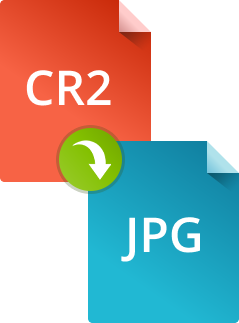 To convert an image from CR2 to JPEG, open the Images tab and choose JPG. Click the Cogwheel button to adjust the picture size, if necessary. This step is useful if you want to edit your photos before exporting. To do this, click the Edit button next to the file in the list on the right side of the interface. In the window that opens, select the tools you want to use. Choose the Adjustments tab to change brightness, contrast, hue, and saturation to your liking. Click Apply to save changes. If you want to emphasize certain elements of the photo, click the Crop tab and you will be able to select and crop a specific area. When you’re finished editing, click Done. To convert your CR2 files, click the Folder icon and specify the export folder, then click Convert. After the program has finished converting, the folder containing your files will open automatically. Now you know how to convert large CR2 files to turn them into smaller and more usable JPG files. This format provides easy viewing, editing, and printing of your photographs which makes it the best choice for converting high-quality CR2 photos. 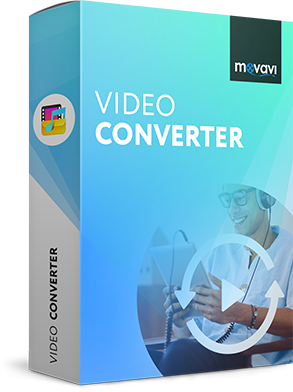 Movavi Video Converter is one of the fastest multimedia converting apps for PC and Mac. Download it now and see what it can do for you!